Malaysian television host, actor, and model Henry Ewan Golding was born in Kuching, Sarawak, Malaysia, to Margaret Likan and Clive Golding. His father is English and his mother is Malaysian. His mother is from the Iban people, an Indigenous group in Sarawak, and Henry completed the bejalai, an Iban rite of passage, in the jungles of Borneo. Henry spent his early years in Terengganu. His family moved from Malaysia to Surrey, England when he was eight. When he was twenty one, he moved back to Malaysia, living in Kuala Lumpur, pursuing acting work, and becoming known as a host of travel shows. 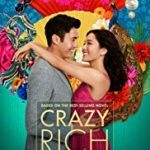 In 2018, Henry made his feature film debut in the smash hit Crazy Rich Asians (2018), playing Nick Young, a Singaporean multi-millionaire who must carefully navigate his relationship with an American, Rachel Chu (Constance Wu). His next role will be in the thriller A Simple Favor (2018). Henry married Liv Lo, an Italian-Taiwanese TV presenter and yoga instructor, in August 2016.